Potato starch, Cheese (24 %), Cream, Corn flour, Rice flour, Corn starch, Parmesan cheese (4 %), Potato fiber, Sugar, Milk protein, Emulsifier: E471, Sun dried tomatoes (1,4 %), Salt, Yeast extract, Stabilizer: E415, Rising agent (E500, E503, E575) , Aroma. 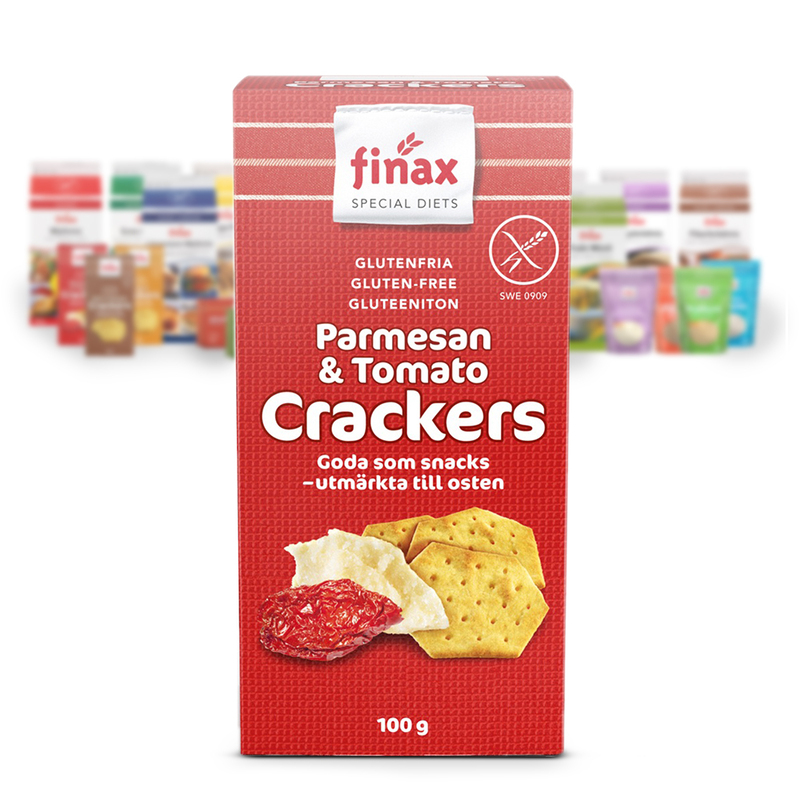 Crispy gluten free crackers with a taste of parmesan and tomato. Perfect for a cheese platter or as a snack with a dipping sauce.